City Lights Brewing Company is located in the Menomonee Valley, a few minutes drive/uber from Downtown Milwaukee. Stationed inside of a building complex first developed in 1902, this new brewery comes packed with lots of Milwaukee history. The buildings were first constructed by the Milwaukee Gas Light Company, who was responsible for generating the fuel that lit Milwaukee’s street lamps. Eventually, the building was abandoned, only to be redeveloped by a newcomer to the Milwaukee brewing scene. In 2012, four brothers founded the 4 Brothers Blended Beer Company. In 2014 they sought to expand and develop into a large-scale brewery, which eventually resulted in them acquiring and redeveloping the Milwaukee Gas Light Company buildings. 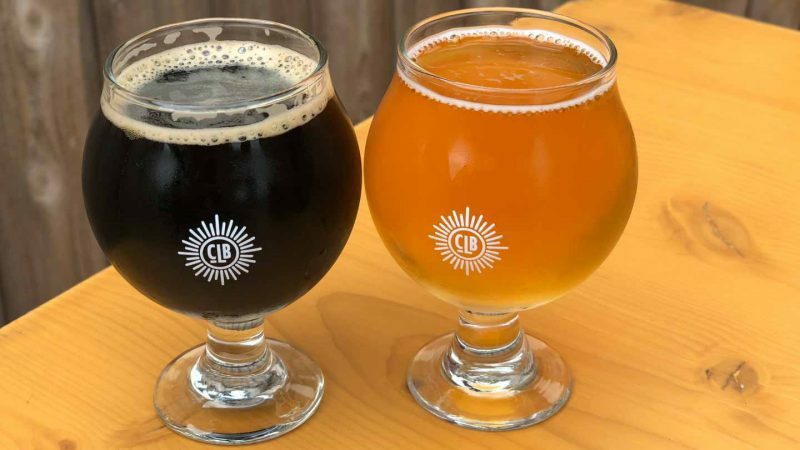 After a name change and what must have been plenty of work, City Lights Brewing Company now stands tall in the center of the city with a multi-use brewing, distributing, and entertainment space. 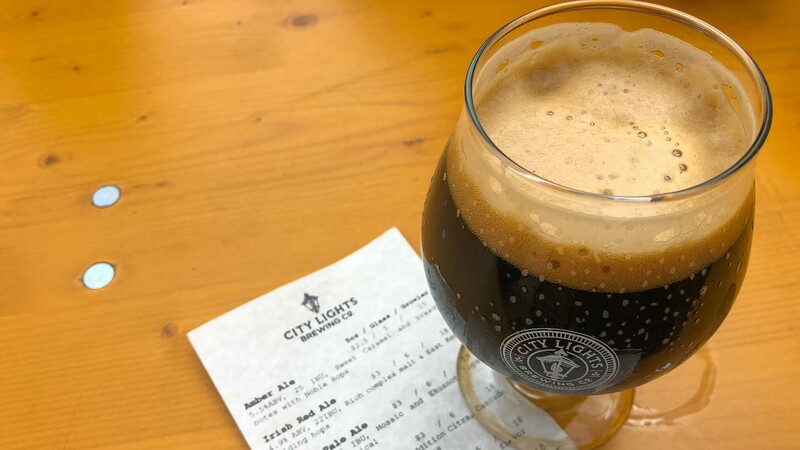 With its historic space, convenient location, and quality beer, City Lights Brewing Company is well worth a visit. Crafted by Colorado native Jimmy Gohsman, who was trained at the American Brewers Guild Intensive Brewing Science & Engineering program in Middlebury, Vermont. City Lights Brewing Company offers a range of high-quality yet immensely drinkable beers. They also rotate specialty beers throughout the year. In the past, these have included a Double IPA, a Mexican Lager, a Belgian Wit, a Hazy IPA, and an Oktoberfest Lager. Check out their frequent “draft only” options as well, such as a Coffee Stout and a Vienna Lager. Centrally located, City Lights Brewing Company is a convenient ride from downtown Milwaukee. Their tasting room is open daily, hours below. There are also additional flexible hours based on home baseball games for the Milwaukee Brewers. The brewery also provides a shuttle option to the games starting 2 hours before the first pitch). Be sure to check out the weekday happy hour from 3:00 pm to 6:00 pm as well, when you can save $1 per beer. 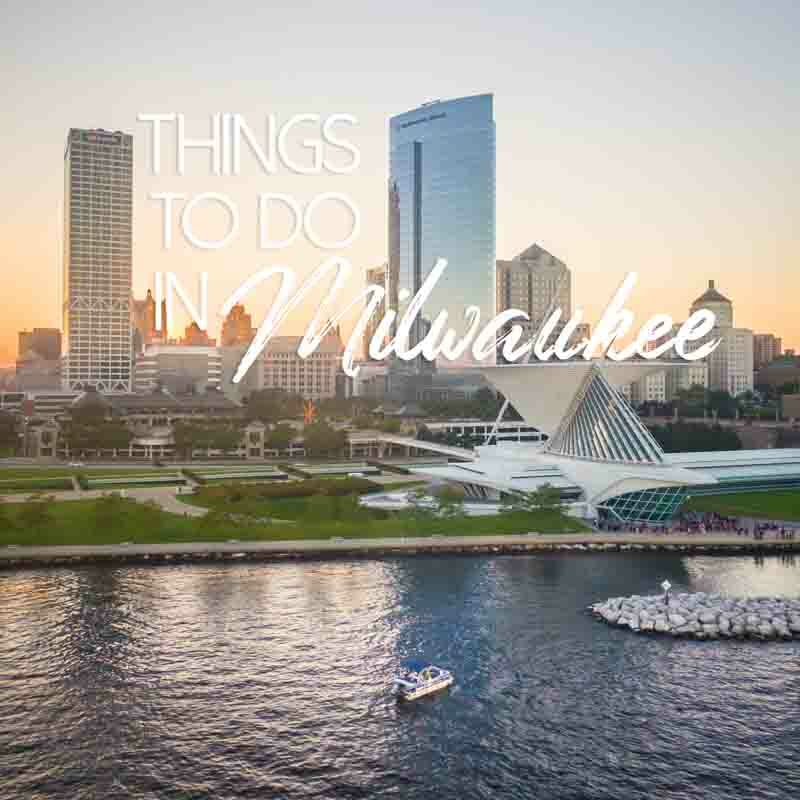 With a little extra time on your hands, make sure to consider going on some brewery tours in Milwaukee. The brewery tour at City Lights Brewing Company is a great one to add to your day. Not only can you check out their state-of-the-art brewing operations, but you also gain insight into the building’s unique history. The brewery tour costs $10 and includes one beer and a souvenir glass. Brewery tours are only available on the weekends. No visit to City Lights Brewing Company is complete without checking out their food offerings. With a restaurant on location, you can sample beers while having a quality dinner. Appetizers range from $7-$13 and include classic bar snacks like the Bavarian Pretzel ($10) or the Parmesan Truffle Fries ($7). Every time we go we get the truffle fries! The Beer Cheese Nachos ($11) are especially good, with toppings like jalapenos and onions, and you can add chicken or pulled pork for an additional $2. Entrées include sandwiches, salads, and burgers ($9-$13), and a traditional Wisconsin Friday fish fry. Read the Yelp reviews here. Until 3:00 pm on Sundays, they also offer brunch, where you can try the Amber Ale Soaked French Toast that comes paired with a Coconut Porter syrup for $9. 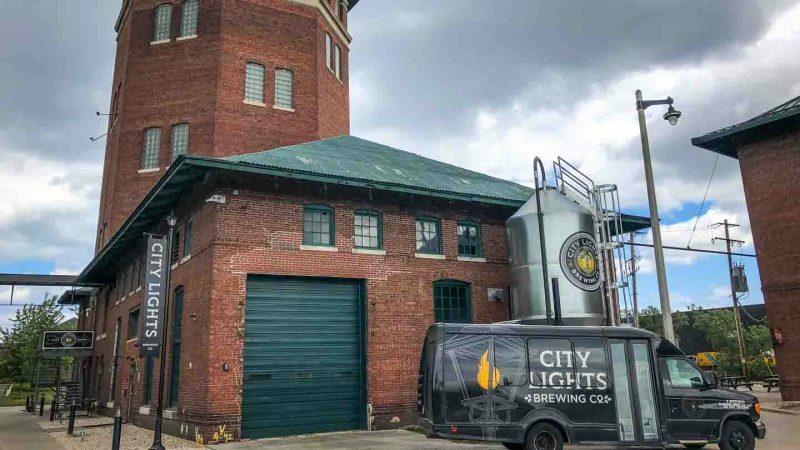 With great food, excellent beer, and housed in a uniquely historic building, City Lights Brewing Company is one of Milwaukee’s many breweries that’s well worth a visit.